I just finished skating 17 hockey games in 5 days! 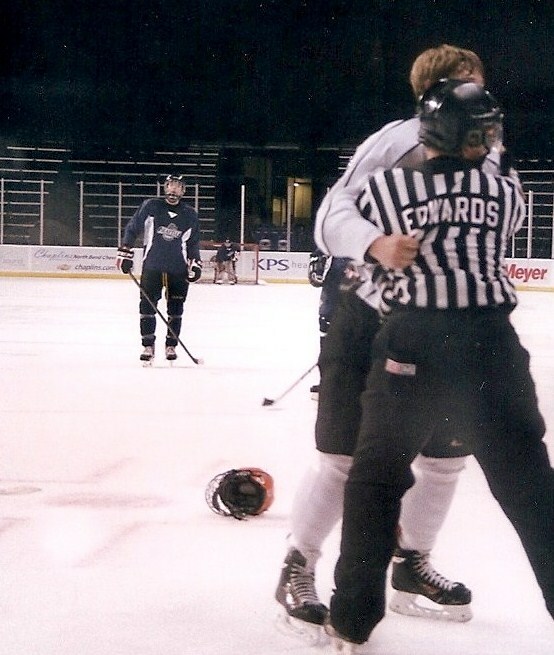 I just skated 17 ice hockey games, as a referee, in 5 days! It was a marathon. I had lots of fun and met some new people. It was a great workout and a real test of my focus, determination and stamina. Keeping hydrated and my protein levels up was also a great challenge. Sunday was the biggest day as I had several championship games to referee, including the U-19 which was very fast, competitive and close. The championship game for U-19 ended up 2-1 and it was a good and hard-fought game. Now I get a few days off before my next games on the weekend. Spring is in my garden. Spring is in my garden. All of the hyacinth, daffodils, iris and crocus have come up. 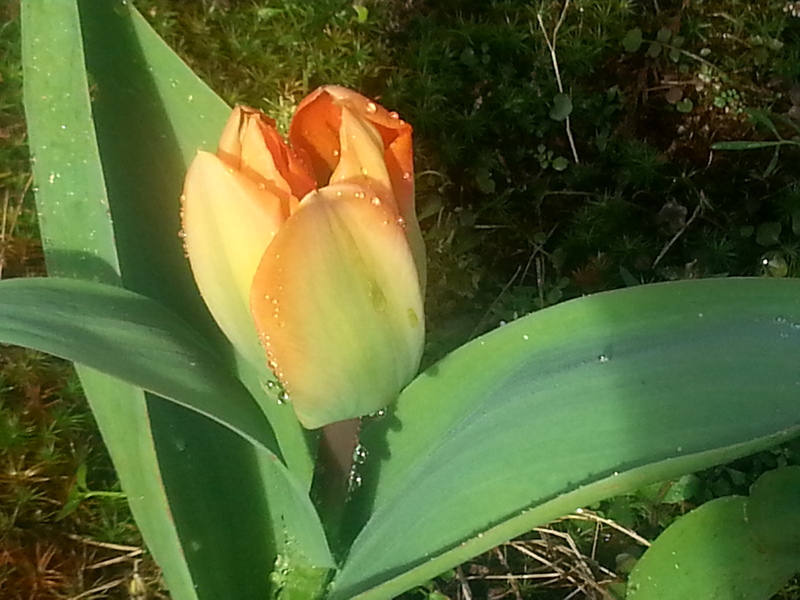 And now, my tulips have started to bloom. I am so excited. After a long, cold, dark, rainy winter, it is refreshing to see new life and color in the world. And now that my tulips are blooming, the air is starting to warm up and the grass is turning green again, I am refreshed. Soon, all of my tulips will be open and bobbing their colorful heads. Next will come the rhodys, hydrangea, roses and lillies. Bring on the Spring and soon the Summer will be here and all will be warm and bright. 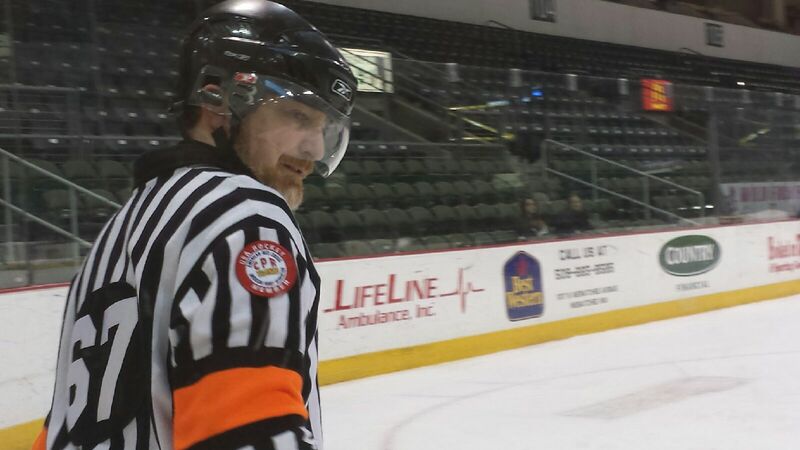 I just skated game #5,000 in my ice hockey officiating career! I would like to thank the WHL Seattle Thunderbirds, the best Major Junior-A Spring/Summer hockey in the state of Washington, for allowing me to skate their games. I would also like to thank the Monday, Lynnwood, Men’s Checking A-League, the best Men’s Winter hockey in the state of Washington, for allowing me to skate their games. And thanks to my family for all their support. In the words of Pavel Bure, “I couldn’t have done it without all of you.” Here’s to the next 1,000 games. Thanks also to all the associations and leagues in the U.S. and Canada, who have allowed me to skate their games. In the words of Joe Walsh, “Lucky I’m sane after all I’ve been through…life’s been good to me so far.” Thanks, everyone! I let my students shave my head to raise money for charity. I let my students shave my head to raise money for charity. We called it “Cut for the Cure.” All donations will go to cancer research. 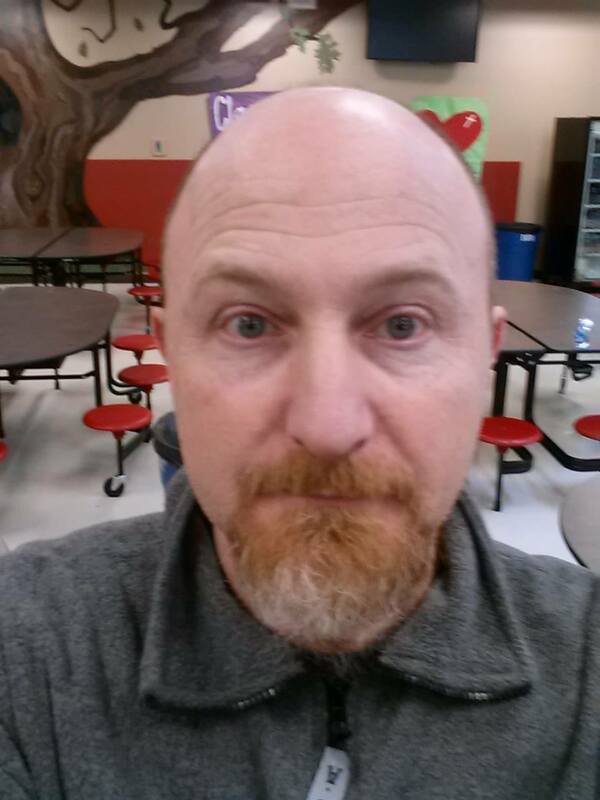 Some of my fellow teachers allowed their hair to be cut and/or shaved as well. Even some of the students stepped up to help shave heads and offered to shave their heads as well. And it isn’t just men and boys agreeing to get a “Cut for the Cure;” many girls and women are also offering their hair up for charity. After prom and senior pictures, there is a whole host of other students who will be getting their heads shaved to help raise even more money. We are at $1,000 for the first day, so we should have no problem reaching our goal of $5,000 total contributions in donations. Thanks for the team work and effort everyone and keep raising money to find the cures for all cancers!